Many Key West criminal defense clients are unaware that the sale of a controlled substance (Florida Statute 893.13(1)(a)(1)) also carries with it a driver’s license suspension. This suspension is mandated by Florida Statute 322.055. This driver’s license suspension is a collateral consequence of the conviction that is mandated by the Florida Legislature. 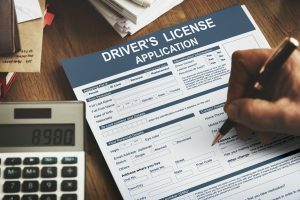 However, there is a provision within the statute that permits the Court, in its discretion, to direct the Department of Highway Safety and Motor Vehicles (DHSMV) to issue the defendant a driver’s license restricted to business purposes if the defendant is otherwise qualified for such a license. A business purposes license restricts an individual to driving that is necessary to maintain livelihood, including to and from work, necessary on the job driving, driving for educational purposes, and driving for church and for medical purposes, pursuant to Florida Statute 322.271. When the Key West criminal defense attorneys at Robertson & Hunter have a client who is entering a disposition to a charge of sale of a controlled substance, knowing that the disposition will subject our client to a license suspension, we prepare an Order for the Court and request that the Court enter the order directing the DHSMV to issue the client a business purposes license. Given that entering the order is within the Court’s discretion, and thus entirely up to the Judge, the Key West criminal defense attorneys at Robertson & Hunter have our clients evaluated for substance abuse problems in advance of the request. Generally, if a person is deemed to not require further treatment, or if further treatment is recommended and the client is enrolled in a treatment program, the Courts are inclined to grant the request and our clients are permitted to drive for business purposes during the period of the license suspension. If you or a loved one are facing criminal charges do not hesitate to give the Florida Keys criminal defense attorneys at Robertson & Hunter a call today. (305) 735-4587, calls answered 24-7.